Nutella has become a staple in our house. Knowing I had that on hand, I wanted to mix up a extra tasty batch of brownies with it. I was heading to a get together so I knew this would be a great mix of chocolate and hazelnut in square flaky brownie bites. 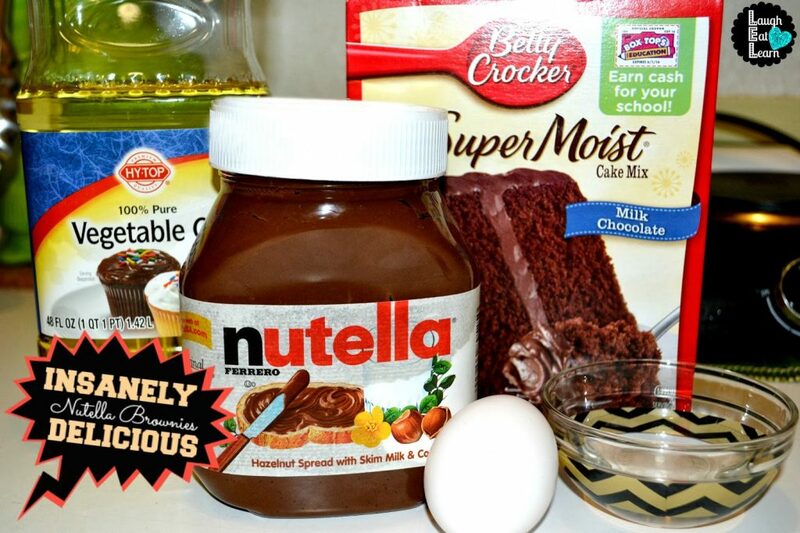 Want a tasty Nutella treat? Pin it to save! I know that I sometimes exaggerate from time to time but I am not kidding you when I say that these are INSANELY delicious Nutella Brownies. The best part of this recipe is that it literally takes 5 minutes to mix up and you should have all 5 ingredients in your pantry! 5 in 5, you can’t beat that! Mix everything together and pour into a pre-greased pan. Let cool for 10 minutes, slice into squares, grab a glass of milk and ENJOY! Thanks for stopping by! I'll be linking up with you this week too! Sounds so delicious! Stopping by from Hump Day Happenings! Thanks for the recipe! 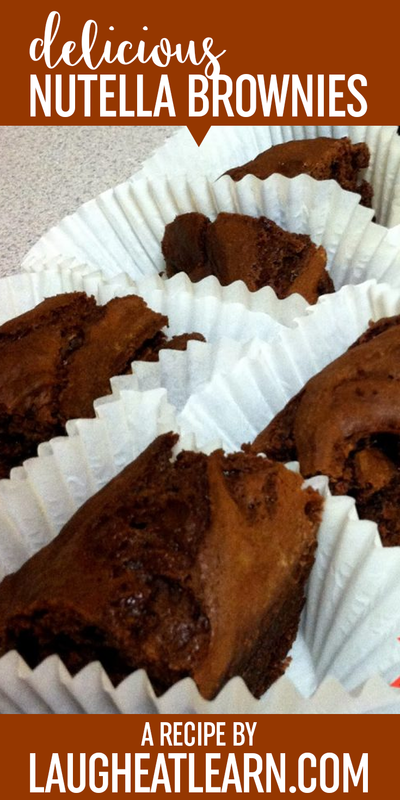 These do look insanely delicious! Thanks for sharing with Hump Day Happenings! You have been pinned. I want you to know I love anything Nutella. When I saw Nutella, I was sold. I pinned your recipe to make for my husband! Thanks for coming to Hump Day Happenings! Yummy!! Please let me know if they taste as good for you!